Employees can sometimes abuse their sick leave. Here's what you need to do when you suspect a medical certificate is fake. Last week we spoke about how to identify a fake medical certificate. Now that you’ve crossed that bridge, the next question becomes: What to do when your employee hands you what you suspect to be a fraudulent ‘medical' certificate? *If you’re not sure what the red flags of fake medical certificate are, we’ve included the link below. (1) An employer is not required to pay an employee in terms of section 22 if the employee has been absent from work for more than two consecutive days or on more than two occasions during an eight-week period and, on request by the employer, does not produce a medical certificate stating that the employee was unable to work for the duration of the employee’s absence on account of sickness or injury. (2) The medical certificate must be issued and signed by a medical practitioner or any other person who is certified to diagnose and treat patients and who is registered with a professional council established by an Act of Parliament. 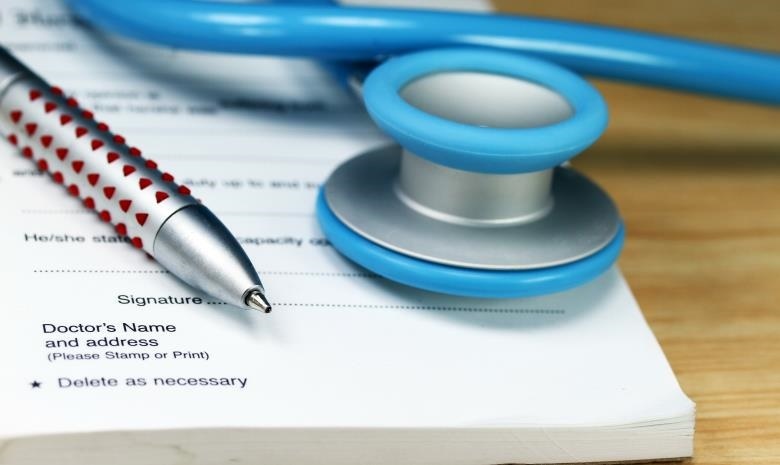 There has been a general public misconception that employers are not allowed to contact a medical practitioner to verify a medical certificate, in fear that it could contravene the doctor and patient’s privilege. However, should you need to validate the sick note, you’re well in your right to contact the doctor, if only to verify the exact information your employee has provided you with. If your employees have handed you medical certificates from doctors with the same practice number, and this rings your alarm, chances are you need to conduct an investigation. 1. Contact the Health Professions Council of South Africa or the Allied Health Professions Council of South Africa to find the healthcare professional or the practice. 2. Send out an undercover patient to visit the practice and test if the said practitioner is willing to produce a fake certificate. Note: You can dismiss the certificate if you find that the medical professional or the practice number are not in either of the organisations’ records. 2. Hold a meeting with your employee to talk about their absenteeism. Make sure you talk about how they can rectify their behavior. 4. If your employee still insists to take time off work without following the correct procedure, you can take progressive disciplinary action. For instance, in the form of a warning. 5. If after the disciplinary action there is still no improvement, you should hold a formal disciplinary hearing. 6. If all else fails, your next step is to let the employee go. Not sure how to tell when your employee has given you a fake certificate? Read this!